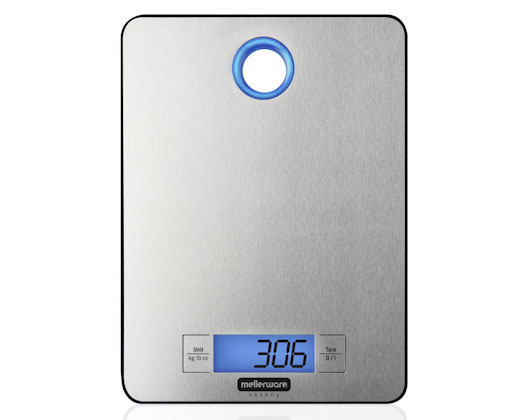 Replace your old kitchen scale with the ultra-modern Saxony Kitchen Scale. The Saxony scale will seamlessly fit into any kitchen with its stainless steel platform and LCD screen with blue backlight. Measurement in kg / g/ ld / oz and a maximum weight capacity of 5kg. The Saxony scale has an overload and low battery indicator and auto power off functionality. Lcd screen with blue backlight.